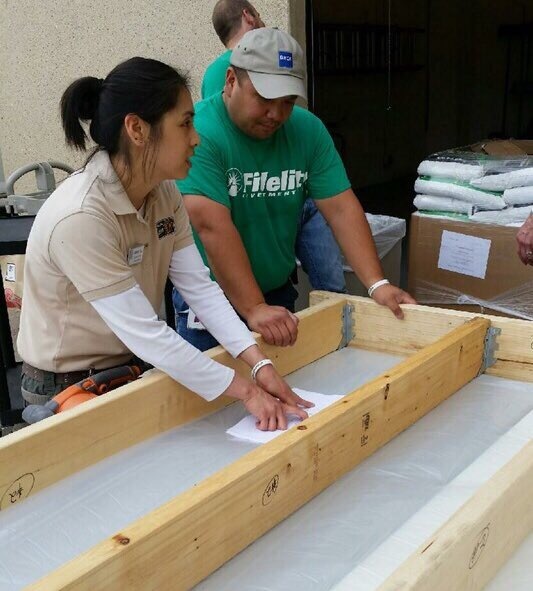 Fidelity Cares for the Dallas Zoo by the numbers | Dallas ZooHoo! elephant walkway or making a bridge for barnyard animals, but for nearly 700 employees at the Fidelity campus in Westlake, that’s exactly what how they spent their workday. 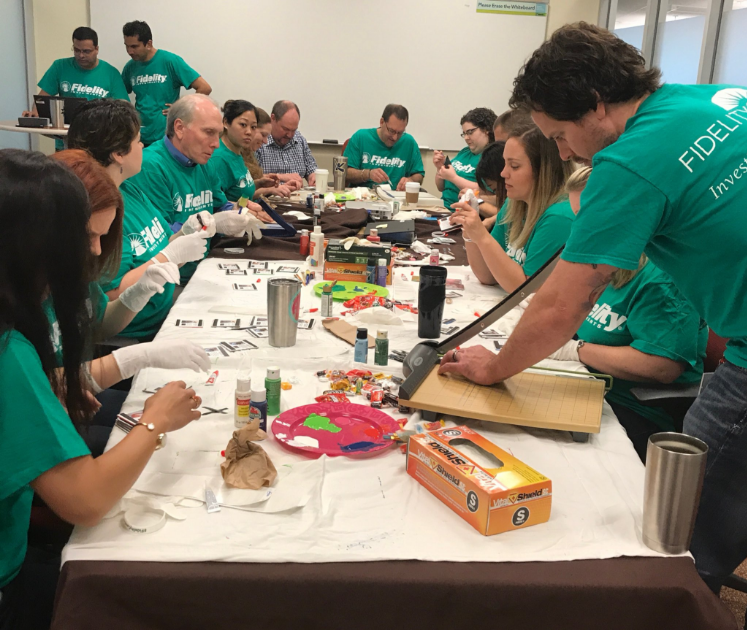 It’s Fidelity Cares Day, an annual day of volunteering and giving back to local communities for Fidelity Investments employees around the world. And today we sent eight Dallas Zoo staff members to the campus to lead a series of unique projects that will benefit our animals, conservation partners, and the Dallas community. 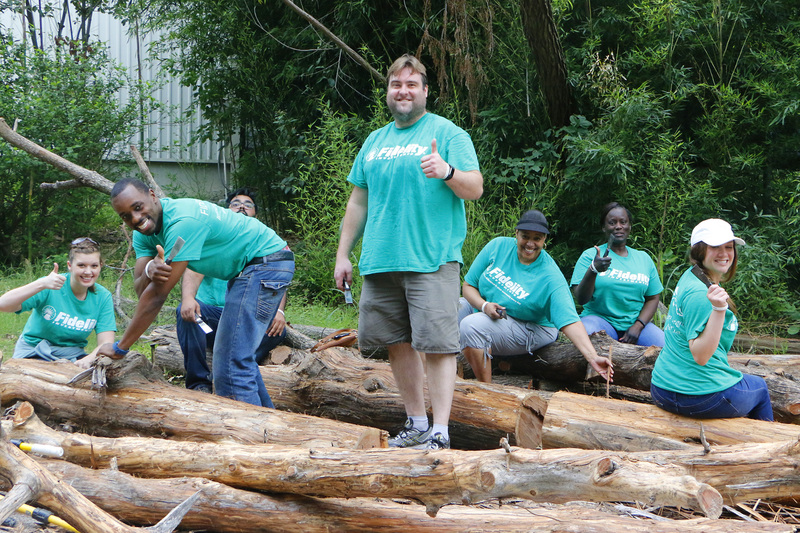 Plus, about 100 Fidelity volunteers spent the day at the Zoo, working with zookeepers on various projects from landscaping to habitat clean-up. “This amazing day of service is a great way for volunteers to further the Dallas Zoo’s goals, impact, and mission of engaging people and saving wildlife,” said Nicole Sweeney, Dallas Zoo’s Corporate Giving Manager. Our volunteers kicked off Fidelity Cares Day by making magnets – but these magnets aren’t your average fridge trinket. Each one is made of a piece of canvas painted by an animal at the Dallas Zoo. Fidelity volunteers adhered magnetic strips and labels to the back of approximately 970 of these artistic creations. 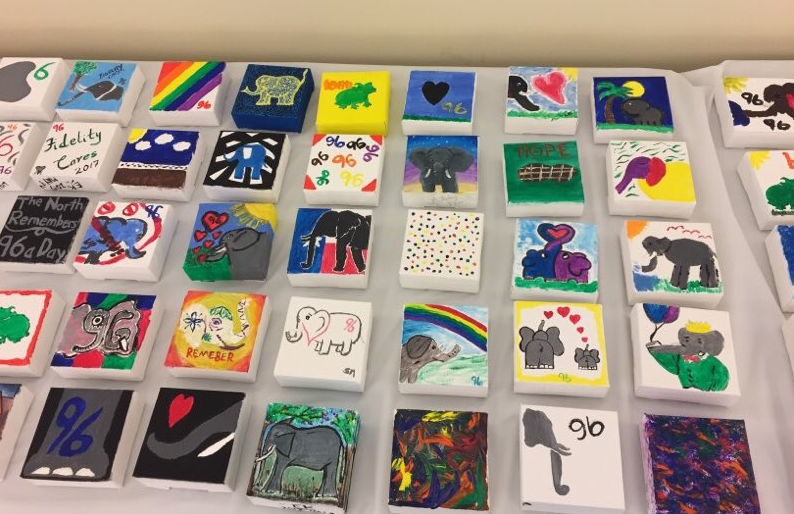 These masterpieces will be sold at Bishop Arts Districts’ The Local Oak restaurant this Friday-Sunday (May 4-6), and will benefit the Dallas Chapter of the American Association of Zoo Keepers (AAZK). Fidelity staff also contributed to Wildlife Conservation Society’s 96 Elephants campaign, which raises awareness about elephant poaching. Fittingly, 96 volunteers painted a canvas to remind Zoo visitors that every day in Africa, 96 elephants are killed for their ivory. The hanging mosaic will be placed in the Simmon’s Base Camp as a symbol of our dedication to elephant conservation. The next project required a little more elbow grease. Roughly 25 volunteers spent four hours assembling a goat bridge – yep, a bridge for our goats. They sanded, screwed, hammered, and applied stain to a large wood play structure for our goat yard. The structure consists of two sets of stairs and one bridge, which will be used by kids of both the human and goat variety for parallel play in the Lacerte Family Children’s Zoo. Research shows that parallel play helps many children develop empathy. As children use the bridge alongside animal friends, our hope is that it will strengthen their connection to wildlife. Throughout the day, multiple seed ball making stations were set up at the Westlake campus for volunteers to walk up and form using a mix of native seeds, compost, and clay. The seed balls will be used to restore prairie habitat at local schools. Once placed in these locations, the seeds will germinate and help reestablish native plants species for local wildlife. Fidelity volunteers created 13,200 seed balls today – whew! We would like to sincerely thank all of the generous Fidelity volunteers who paid it forward with sweat equity and hard work in order to make the Zoo, and our community, a better place. Looking at the numbers alone, it’s amazing what a single group of people accomplished in just one day.